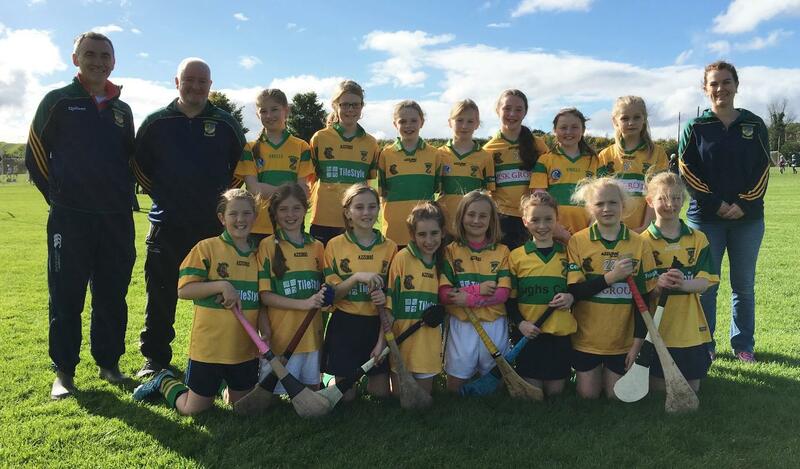 The Under 13 team is for girls born in 2006 or who are in 6th class in National school (2018/2019 school year). Training is on Thursday evenings from 6.50 to 7.45 at the clubhouse astro during the winter months and at Kimmage Manor during Summer months. We communicate through a ‘what’s-app’ group. WE ALWAYS ENCOURAGE NEW GIRLS TO JOIN THE GROUP – TRY IT FOR A WEEK OR TWO! YOU WON’T BE DISAPPOINTED. We have approximately 20 girls from a number of different schools. Our objective is to improve the camogie skills of the girls and most importantly to have lots of fun! We have a very active parent group who work with the team in a variety of roles whether assisting weekly coaching sessions, first aid assistance or fundraising. We strongly encourage parent participation as it is hugely beneficial for the girls. 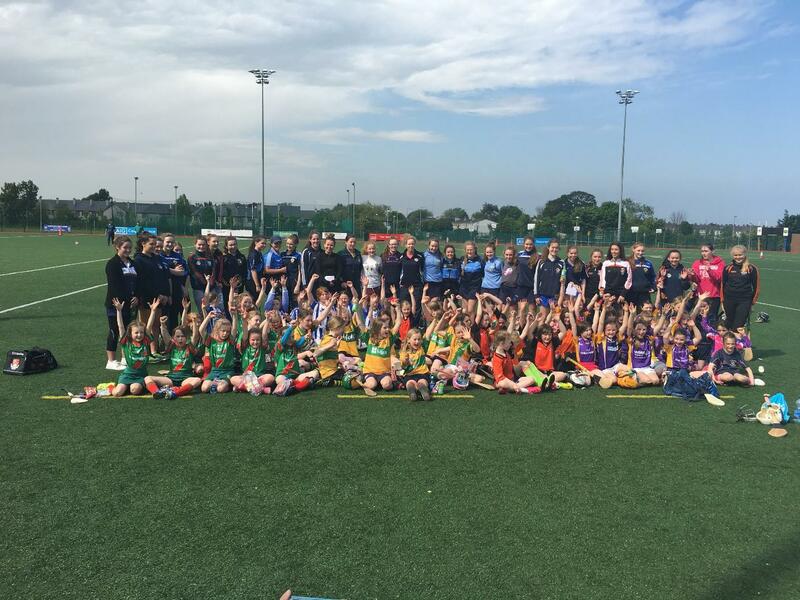 in May, the U10s were one of a small group of teams asked to play in Ballinteer Community College as part of the county board’s workshop for new referees. in August, the girls played at half time in the crucial Dublin-Derry senior camogie qualifier at O’Toole Park and gave a guard of honour to both teams as they came onto the pitch. The girls witnessed a hugely entertaining game – Dublin needed to win by 26 points to qualify for knockout stages but narrowly missed out when they won by only 23 points! in September, we hosted Donard Glen from Wicklow after which great fun was had at the clubhouse when we hosted a small reception for parents and kids. October saw the girls play Kilmacud Crokes twice at half time in the two thrilling Senior 3 camogie deciders at Abbotstown and O’Toole park. It was a fantastic experience for the group who not only got to sample the fantastic atmosphere playing in front of a large crowd but also got to see some of our Senior stars in action (a number of whom would have trained the girls). in November, we held a fun team building exercise at the club for the team after which thegirls were treated to some pizza and healthy drinks! 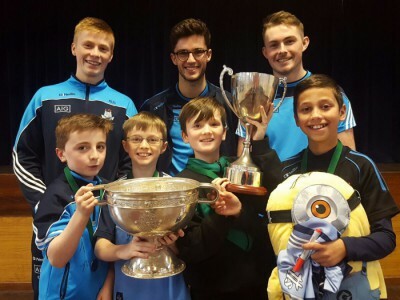 Chris, Neil and Jack visited Joeys recently with the Leinster U21 and Minor Cups.